Cover crops can improve soil organic matter, reduce over-winter and early spring erosion, scavenge nutrients, and combat weeds. The suggested types of plants to use depend on what your goals are for the cover crop. Do you want to graze them? Have a source of Nitrogen? Scavenge nutrients? Protect against erosion? How do you want to kill them? Some cover crops will not over-winter, while others are winter-hardy. It is encouraged that a winter-hardy cover crop or a mix containing a winter-hardy species be planted in this area due to the short growth window in the fall. 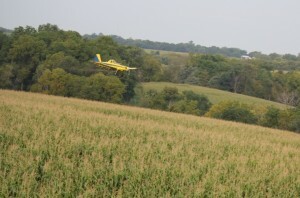 Many Iowa farmers currently use cover crops. If you would like more information from someone who has been planting cover crops, please contact Allamakee County SWCD commissioner, Don Elsbernd. If you would like to talk to other farmers who have used cover crops, click here for more information. The Midwest Cover Crop Council (MCCC) has a lot of information available about cover crops including a Cover Crop Decision Tool which was created to help farmers select cover crops based on their location, commodity crops, and goals for the cover crops. Iowa State University Extension has several tools to help calculate costs of cover crops and seeding rates. They also have many publications available. Practical Farmers of Iowa also has a lot of cover crop information available on their website. 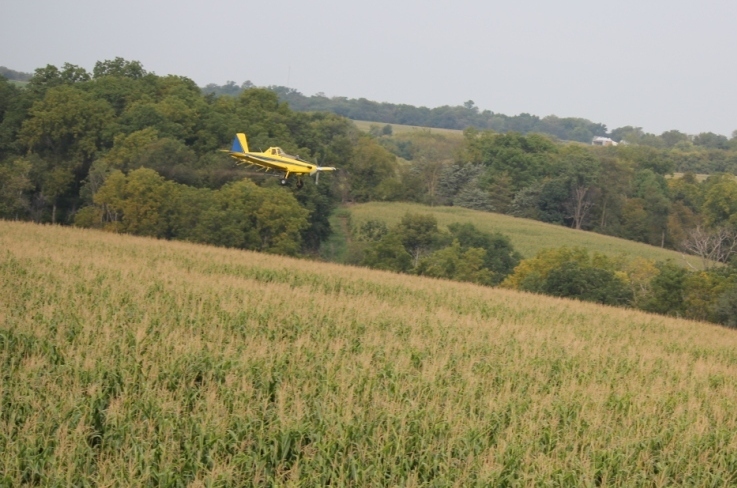 The Allamakee SWCD provides cost-share for producers to try cover crops. You may sign up for a $25/acre incentive payment if you have never received money for cover crops through state of federal (EQIP, CSP) sources. Funds will be available in July and will be allocated on a first-come, first-served basis, so we encourage you to sign up as early as possible. Please call the office at 563-568-2246 ext. 3 or stop by for more information.